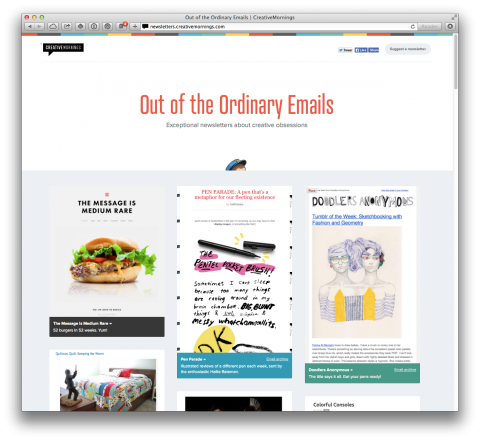 CreativeMornings just launched a campaign highlighting Out Of The Ordinary Emails featuring exceptional newsletters about creative obsessions. They’re hoping it will inspire others to start their own. Know some newsletters they should add, submit them. Or better, get inspired and start your own! Hat tip to Karen Baker who so masterfully has curated this (growing) list.